im one of those people who keeps SMS from certain people and i have been using this SMS Backup+ since i had my x10 mini pro. 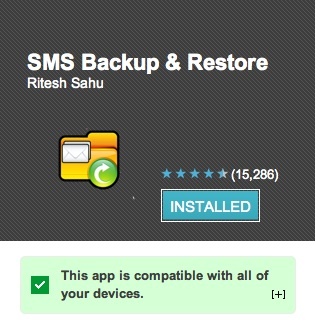 i can just easily backup SMS to my email account. yay for technology! Hey Neil, thanks for reading! I haven't tried Backup+, but I'm guessing it works pretty much the same way. It's so great to be able to migrate to a new phone without losing all your information.